Bharta is traditionally a Mughlai preparation. In popular restaurants, you will find the Chicken Bharta. 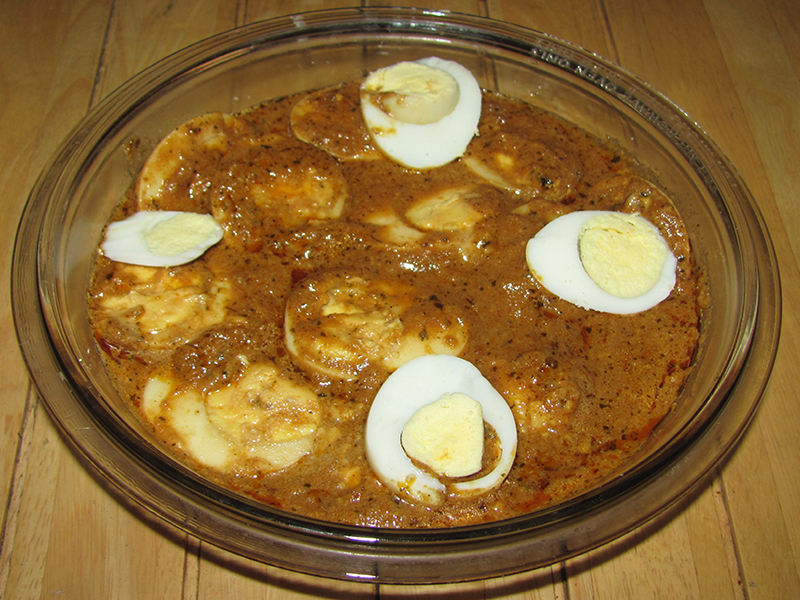 Egg Bharta is a variation of chicken Bharta. 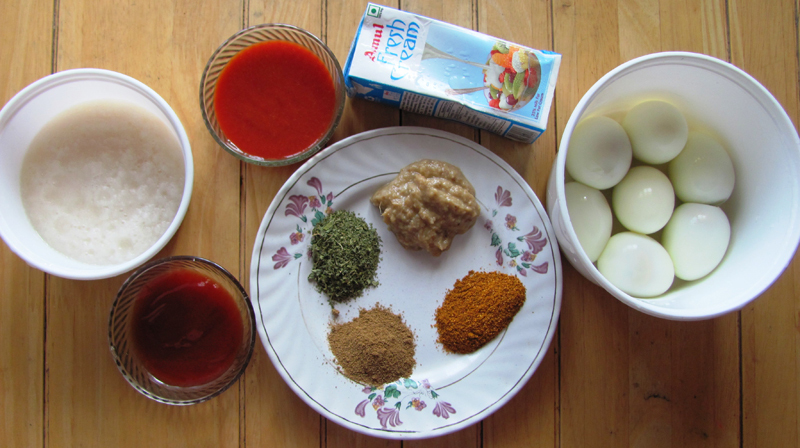 The gravy is made with spices and is quick and easy to make. Add the onion paste and fry till its light golden brown in colour. This will take about 5 to 10 minutes. Make sure to fry them on a medium heat. Once the onion is fried add the ginger garlic paste and sauté for about 3 minutes. Add the tomato puree, tomato ketchup and a little water so as to prevent it from burning. Fry on a low heat for about 10 minutes. Add the chicken masala, Kasuri Methi and cumin powder along with salt and sugar. Add a little water and fry till oil separates. This will take another 3 minutes. Add the eggs and gently mix well. Add the cream, adjust the salt and sugar. Mix well and serve hot. Serve it hot with fluffy chapattis or naan.